Gabriel brings tremendous expertise and passion to helping organizations build effective and high performing teams and ensuring leaders, managers, and team members are equipped to generate and sustain exceptional results. 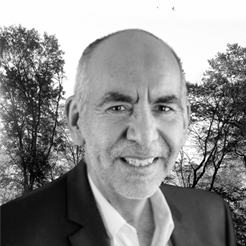 For over 25 years, Gabriel has been providing services worldwide for the U.S. Government, tech startups, and Fortune 100 companies including Apple, Chevron, and Epiroc in the areas of high performing team development; first-time manager training; executive coaching; cultural transformation; professional learning and leadership development; and human-centered design. Gabriel also has a specialization in working in high-risk industries such as Energy, Petroleum, and Mining in addition to other industries such as Environment, Health Care, Technology, and Engineering. Experience has shown us that teams generally do not just “click” into productivity, particularly if innovation, agility, creativity, speed, and efficiency are important. Gabriel works with individuals, managers, and teams to allow for high performing teams to develop and thrive. When not playing basketball or eating ice cream with his daughters, he is most likely on a plane to meet clients, friends, or family. Gabriel volunteered for nine years as the Manager of the Santa Clara Youth-at-Risk Foundation Mentoring Program in San Jose, California. He is an associate founding member of Escuela Matriztica de Santiago founded by Dr. Humberto Maturana and Ximena Davila. Gabriel speaks fluent Spanish and English.